An alarm philosophy document (APD) is the cornerstone for development and sustainability of an effective alarm management program. 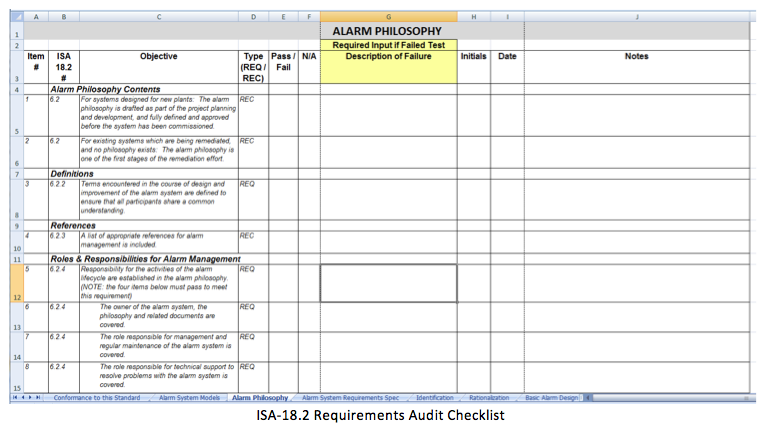 An approved alarm philosophy document must be in place before beginning alarm rationalization. APD template containing best practices, designed for easy compliance with ISA-18.2. Training / guided workshop led by exida to document requirements used in the creation of a company / site specific alarm philosophy (written by exida). 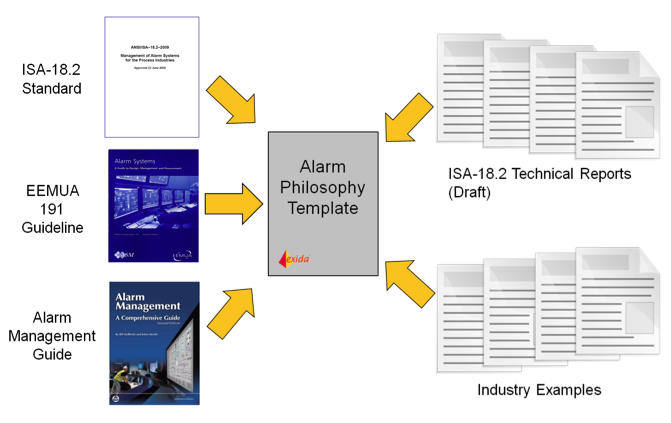 Review of existing alarm philosophy document for compliance with the ISA-18.2 standard and current industry best practices. exida’s alarm philosophy template has been developed based on industry standards, best practices and company philosophy documents from industry leaders. In particular it leverages the information included in the draft versions of the ISA-18.2 series of technical reports (e.g., TR 1 - Alarm Philosophy). The philosophy template has been structured to make it easy to comply with (and to demonstrate compliance with) the ISA-18.2 standard. exida will review the client’s existing alarm philosophy document (APD) to compare the contents to the requirements and recommendations defined in the ISA-18.2 standard and to current industry best practices. Results will be documented in a report which highlights areas of non-compliance and provides suggested content / considerations for closing the identified gaps.